Although the ancient tradition tells us to celebrate the Baptism of Rus'-Ukraine on August 14, however, on July 28 we will unite in this celebration with the Ukrainian State, since it is a state holiday, as well as with our Orthodox brethren. 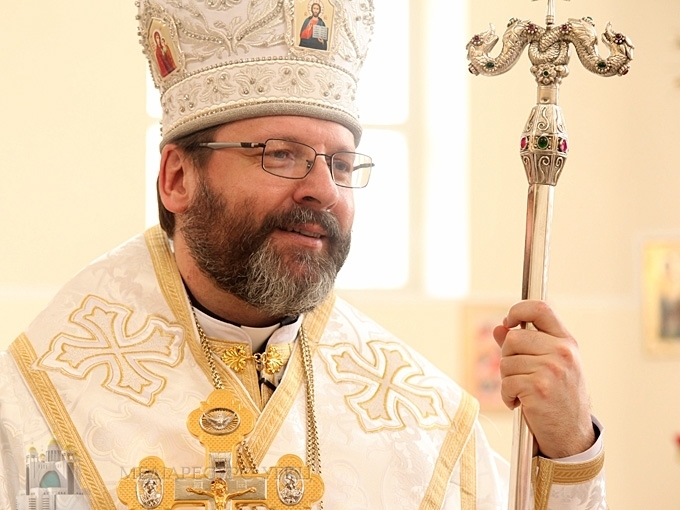 Such a position was expressed by the Father and Head of the Ukrainian Greek Catholic Church His Beatitude Sviatoslav in an interview on the occasion of the 1030th anniversary of the Baptism of Rus'-Ukraine. His Beatitude Sviatoslav noted that during these state celebrations we never organized our actions in Kyiv in order not to contrast with our Orthodox brethren. "We have always tried to emphasize what unites us. And what unites us - is exactly this Baptism, which we are going to celebrate." The Primate congratulated all Christians of Ukraine on the occasion of the 1030th anniversary of Baptism. "I wish all of us to be guided by our faith in God, when we make important decisions in life so that under all circumstances we always remained Christians, and also preserved this gift, which our people (as the greatest national treasure) passed from generation to generation to descendants," wished the Head of the Church. "I wish that our Christianity was not nominal or formal when we celebrate something, but that we were Christians in our daily lives and that our faith in God was our guide when we make necessary state or personal decisions," added the spiritual leader of the Greek Catholics.